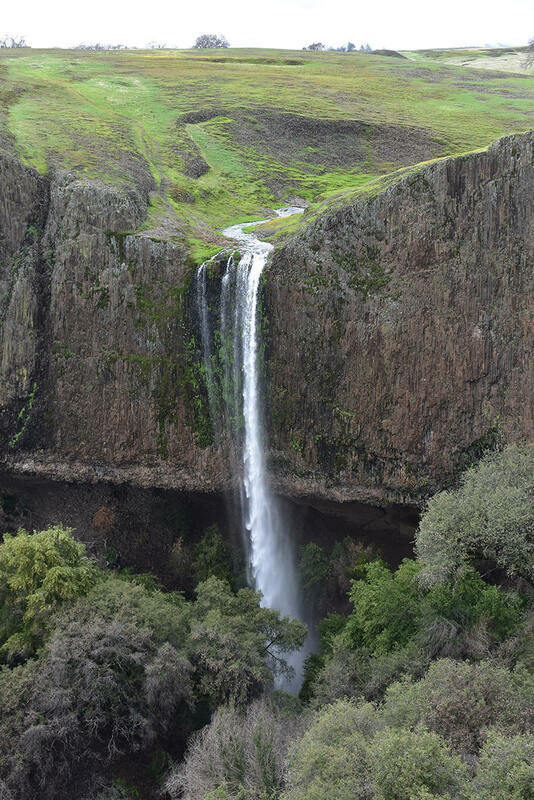 Phantom Falls is one of the prettiest in California, but it is hard to get to. Flows from first series of storms in fall and into spring. This hike visits 5 other waterfalls, too. Expect to see grazing cattle; they are generally safe, but give the occasional bull some space. Wildflowers best late Feb-April. Be sure to take our flower guide on your smartphone or printed into 4x6" photocards. The short stretch of trail to the top of Hollow Falls is narrow on on a cliff. It is not especially dangerous, but if you have a fear of heights you won't like it. GPS recommended. Sunlight best on falls in early afternoon (many are facing west, and are in shade in the morning).